David Sirota is a political journalist, New York Times bestselling author and nationally syndicated newspaper columnist living in Denver. He is a senior fellow at the Campaign for America's Future and a board member of the Progressive States Network - both 501(c)3 nonpartisan research organizations. He writes a weekly, nationally syndicated column for Creators Syndicate which was launched in the Fall of 2007 and which now appears in newspapers with a combined daily circulation of more than 1.6 million readers. 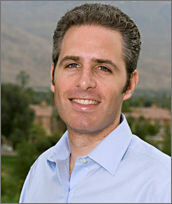 Sirota's two books, Hostile Takeover and The Uprising, were both New York Times bestsellers. He has been profiled in Newsweek and the Rocky Mountain News and is widely known for his reporting on political corruption, globalization and working-class economic issues often ignored by both of America's political parties. The New York Times has called him a "populist rabble-rouser" with a "take-no-prisoners mind-set," while the Philadelphia Daily News labeled him "a progressive powerhouse." The American Prospect said Sirota is "the kind of pundit you'd like to have on your side in a knife fight and wouldn't want to cross in a dark alley." Syndicated columnist Molly Ivins said, "Sirota is a new-generation populist who instinctively understands that the only real questions are 'Who's getting screwed?' and 'Who's doing the screwing?'"